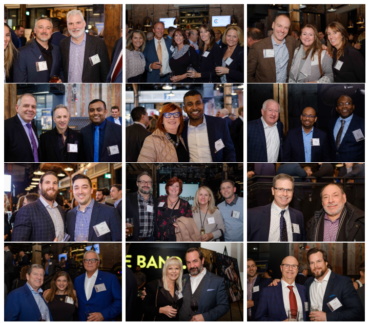 TORONTO, April 9, 2019 /insPRESS/ – Blouin, Dunn LLP and 30 Forensic Engineering once again co-hosted one of the most anticipated insurance industry events of the year: The Big Mingle. The event celebrated its 13th year and was held at The Rec Room in Toronto. This invite-only event attracts over 500 senior insurance professionals and national media from all over Canada who are in Toronto attending the various claims conferences including the Canadian Insurance Claims Managers Association/Canadian Independent Adjusters’ Association (CICMA/CIAA) annual Joint Conference and the Ontario Insurance Adjusters Association (OIAA) Claims Conference. In appreciation for their continued support, our guests enjoyed an evening of great cocktails, food, engaging industry conversation and plenty of mingling. 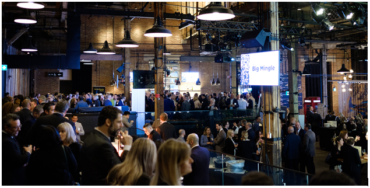 For more photos from this year’s event, visit The Big Mingle website. 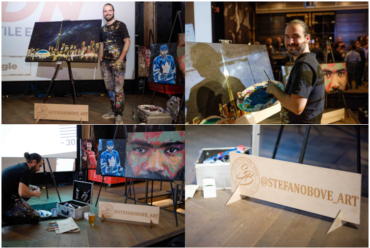 A special thank you to ‘Art By Stefano Bove & Afresco Murals Inc.’ for beautifying the Rec Room stage with some incredible works of art and of course the live painting of our very own Toronto Skyline. Stefano is a Toronto based Fine Artist with a focus in acrylic paint and his body of work explores the beauty of our planet and the cosmos with colourful abstract work. Stefano has built a career as a commission artist and enjoys to paint in any style from portraits, landscapes, cityscapes and abstracts. Blouin Dunn is one of Ontario’s leading insurance defence law firms whose members have been providing quality legal support to the insurance community for over 30 years. 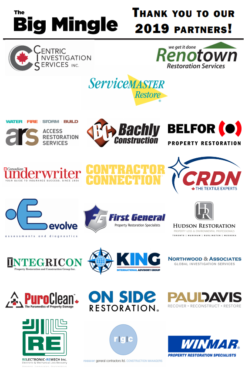 We offer services in Ontario to property and casualty insurers throughout North America, at all levels of experience, at appropriate and competitive rates. Experience. Integrity. Results.